Within the last five to ten years technology has revolutionised our lives in so many different ways from shopping and social networking to banking, communications and entertainment. So, it figures that the workplace environment should also have changed beyond all recognition. For bright, go-ahead organisations, this is true – and they’re reaping the rewards. But is any of this relevant to your business? And if so, which bits? Despite the changing work preferences and attitudes, we’re often surprised to see how many companies still cling to outmoded work patterns and products – even though upgrading a system or product may not be that costly and would save time and money in the long term – as well as offer the satisfaction of knowing they’re operating at the cutting edge of new working practices. So, to make it easier, we’ve selected our eight favourite new technology products that will greatly enhance the working life and productivity of you and your colleagues. As collaborative working becomes increasingly common and technology allows us to work any time anywhere, we are finding teams of staff are looking for more collaborative spaces. Do you really need a desk per person? A number of manufacturers are responding to the trend with Smart Technology that allows users to book desks remotely through web-based software, which shows desk availability on a digital office plan, or on arrival. Desks are then booked via a simple phone app swipe on the free workstation. Our world is becoming more and more global, especially in workplaces, which leads to an increase of teamwork and collaborative spaces. In modern office environments, users still face a lack of consistent scheduling methods to easily and quickly find available spaces to collaborate. Many of our clients are considering investing in web-based room scheduling systems that solve the dilemma of connecting workers to meeting spaces. 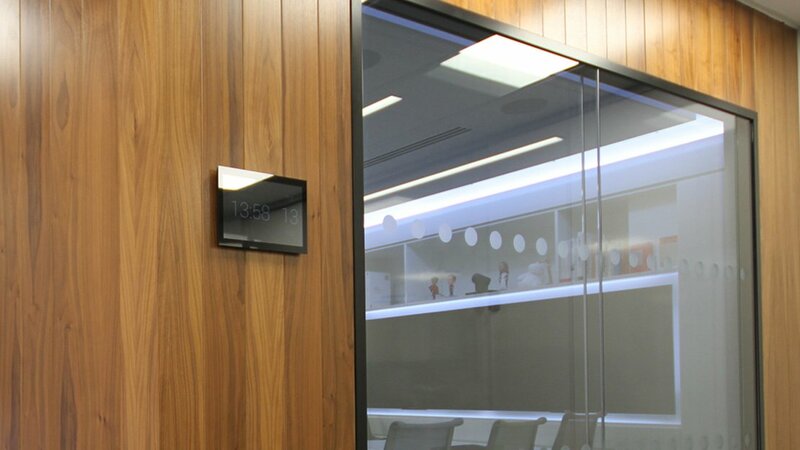 Steelcase Room Wizard is a perfect example, and offers an interactive touch screen display providing real-time meeting information, right outside the room. The red and green status lights display availability of the space. Employees are becoming more demanding regarding their need for easily accessible power. Most people now have a smart phone, and with the huge increase in online and social media activity, battery life can be a challenge. In addition, with flexible working, many employees are using laptops and Ipads. People want access to power any time anywhere, and get stressed and frustrated if they can’t. 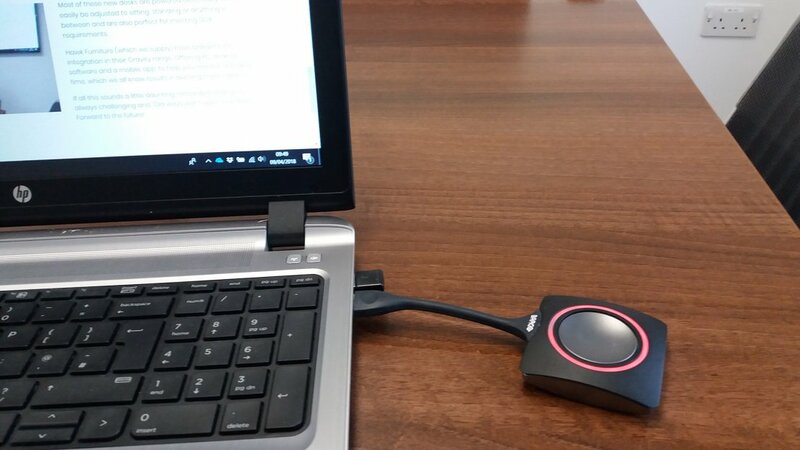 The good news is there are now lots of great products on the market that can be fitted to desks, meeting tables and even sofas which can charge via USBs or Mains Plug. – If you don’t have a dedicated receptionist how do you ensure you make the best first impression? – How do you provide guests with company Wi-Fi details and useful facilities information? The perfect answer for this is to invest in a customisable iPad app which will wow guest with a modern first impression, improve communication with your visitors and showcase your brand. Check out two of the best companies for this tech, Mobicheckin and Envoy. Spacestor, Flexiform and Sedus were all demonstrating tech-enabled locker systems at Clerkenwell Design Week 2017. 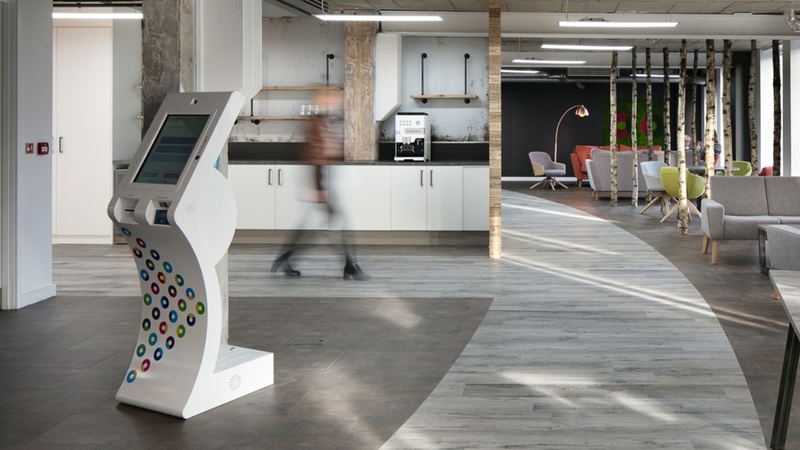 The Spacestor Hot locker system allowed staff to allocate themselves a locker using their phone, oyster card or bank card via a green/red light system and a central self-service terminal. This is ideal for agile working offices with multiple floors and locations, as the lockers can be shared ensuring space optimisation. Data is also available for the facilities team to monitor usage and ensure sufficient lockers are provided for staff wellbeing. With more and more businesses offering flexible working and operating across multiple sites, how you meet and collaborate effectively is an agenda topic in many boardrooms. For some time now businesses have recognised they can improve efficiencies both in terms of time and money if employees use video conferencing and skype technology rather than all travel to one meeting location. A growing trend, is the use of technology to engage with clients, providing client presentations and demonstrations via skype. 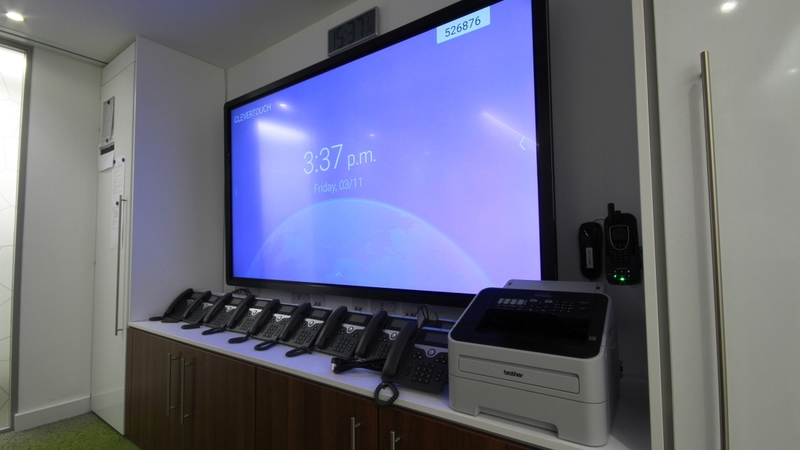 We are being increasingly asked to provide video conferencing and skype facilities both in meeting rooms and even at desks. A good example of this is Turnitin, a leading software company specialising in cloud-based educational technologies. Turnitin offers 121 demonstrations to clients via skype for business. Ben Johnson Interiors provided rooms with good acoustics and company branding behind the demonstrator so it looked professional on every call. Turnitin also invested in sound-cancelling head phones to improve quality of the Skype calls. We have all arrived at a meeting and struggled to connect to the Plasma Screen or worse – had problems finding the right cable. ClickShare makes it easier to share information on the screen from a laptop or mobile device just with a simple click. No hassle. No messy cables. Just quick, confident sharing. In Scandinavia, 90% of workers have a sit-stand desk and the trend is really beginning to catch on in the UK. Standing, rather than sitting at work offers many benefits including improving posture and blood circulation, burning more calories and encouraging mobility. Many tasks are completed more quickly. Whilst standing, oxygen flows more easily to your head boosting endorphin’s, making us feel more confident and collaborative. Most of these new desks are powered electrically so can easily be adjusted to sitting, standing or anything in between and are also perfect for meeting DDA requirements. 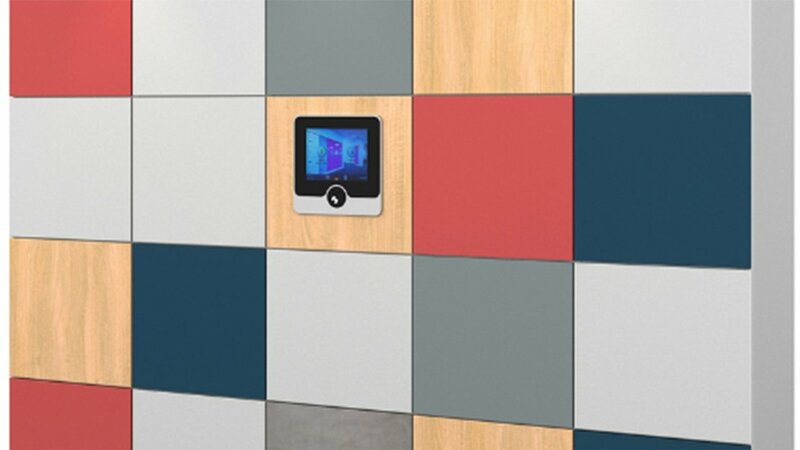 Hawk Furniture (which we supply) have brilliant tech integration in their Gravity range. Offering PC desktop software and a mobile app, to help you monitor standing time, which we all know results in burning more calories. If all this sounds a little daunting, remember change is always challenging and “Old ways won’t open new doors”. Forward to the future!